Powerful Agency is animated website template. This template is appropriate for agency and any other business. Template developed with the Muse CC 2014.2. 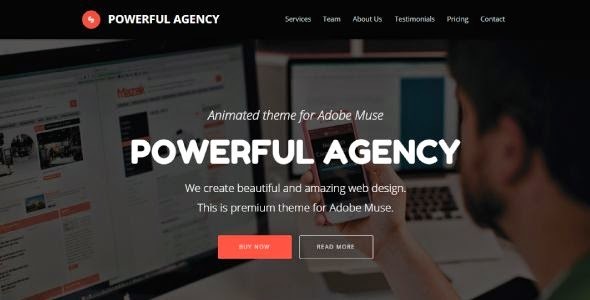 Item Reviewed: Powerful Agency Animated Adobe Muse Template 2015 9 out of 10 based on 10 ratings. 9 user reviews.